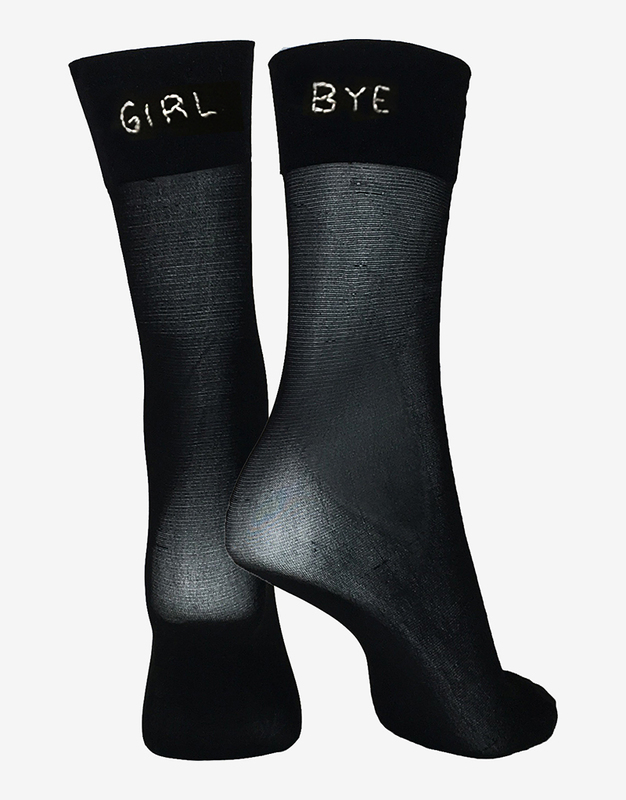 Hand-embroidered nylon GIRL BYE socks, made in our DTLA studio. These babies can be worn any way you see fit, and in any order! Even our fellas can get in on these! Our socks are woven to be worn in any direction. You are the boss here!